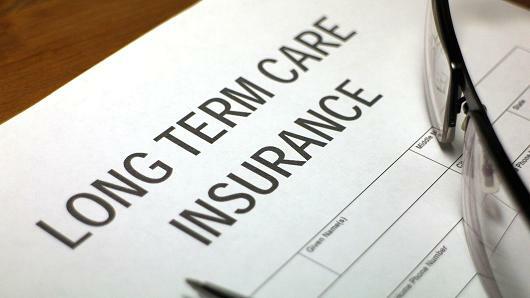 Home » Insurance » How Does The Affordable Care Act Affect Long Term Care? How Does The Affordable Care Act Affect Long Term Care? Is Long Term Care Covered By Health Insurance? Long term care is not really covered by typical medical policies. Basic Medicare benefits, for example, only cover short term or irregular care. If a plan member needs to spend many months, or even years, in a nursing care facility, they will exhaust their Medicare benefits. Supplements or Medicare Advantage plans usually mirror the benefits of the original plan. This is important to note because many people assume that their Medicare benefits will take care of this expense. Medicaid is another story. This federal and state program for low income Americans may cover long term care expenses. Qualification rules vary by state, and sometimes by individual circumstances. But it is probably fair to say that most people will have to spend most of their savings in order to qualify. Of course, the cost of care will vary by the facility and location. I have seen private and government studies that report the average US price tag of full time nursing homes. They place the figure at between $6,500 and $8,000. These are recent figures, and the cost could rise in the future as so many other health care costs have. This expense could wipe out savings fairly quickly. Other types of care, like assisted living and home health care, may be somewhat cheaper. But they can still cost thousands of dollars a month. Does Health Reform Cover Nursing Care Costs? The CLASS Act was intended to provide a voluntary long term care insurance program, but it has been abandoned for right now. There are provisions in the Affordable Care Act (ACA) to expand Medicaid benefits, so this may help more low income, disabled senior get the kind of nursing care they desire. Right now, most Medicaid long term care funds go to full time nursing homes. Some provisions in the ACA expand home and community based health care services, so this may help some seniors get better nursing care at home. Many states are attempting to reform nursing care on their own. Several US states have implemented long term care insurance partnerships. If residents purchase qualified long term care insurance (LTCi) policies, the states will modify Medicaid qualification rules. This will help the participants qualify for Medicaid without spending all of their money if their plan benefits run out. In addition, some qualified nursing care plans are tax deductible. This may provide an extra incentive for people to get covered. The tax deduction reduces the "real" cost of the premiums. You can see that the ACA does not seem to directly affect nursing care at the moment. Some programs may help expand services for some people. However, there are government incentives for people to purchase a policy to help them pay for nursing care in the future. Some of these incentives may be at the national or state level. Should You Plan For Long Term Nursing Care Costs? I have seen studies that estimate the number of us who will need nursing care from fifty to seventy percent. If you are planning for retirement, you should not ignore this expense. There are several alternative ways to plan for the cost, and it is important to find the right solution for you and your family. Learn more about health reform and nursing care. Also review some LTCi pros and cons..
Related : How Does The Affordable Care Act Affect Long Term Care?